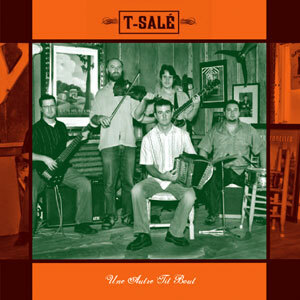 Hailing from our very own Ville Platte, Louisiana, “T-Sale” consists of brothers Jean-Jacque & Louie Aucoin, grandsons of the late, great Cyprien Landreneau. 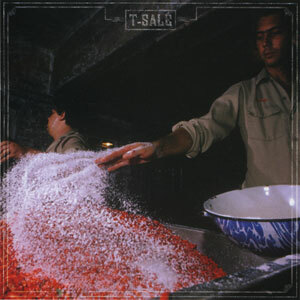 T-Salé means “a little salty,” and, appropriately, Philip Gould’s magical photograph on the cover of T-Salé’s first CD depicts a worker spreading Avery Island salt across red peppers. 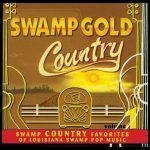 Cajun music, played well, is also magical, taking the ordinary and making it surprise and excite us with emotions that are rich and lustrous. Many of the songs on T-Salé’s first CD are themselves musical gems—songs from the past that are rarely performed today but have lost none of their beauty or power. Released in 2004, 14 tracks.